When you put a loved one in a nursing home, you expect that he or she will receive reasonable care and be treated in a dignified manner. Unfortunately, some elderly people are vulnerable to sexual predators in nursing homes. In many cases, the sexual abuse goes unreported because the elderly person is embarrassed or too incapacitated to report what has happened. However, there may be signs such as emotional withdrawal or unexplained injuries, and in some cases, other residents may be aware of what has happened. 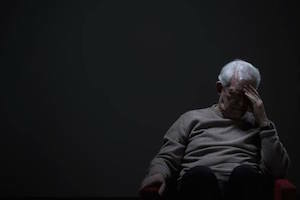 If you or a loved one has been subject to sexual abuse, the Chicago nursing home sexual abuse attorneys at Moll Law Group are available to help you seek compensation. Billions of dollars have been recovered in cases in which we have been involved. There are many forms of sexual abuse, ranging from forceful penetration to inappropriate touching or exposure to pornographic material. In some cases, sexual harassment may qualify as sexual abuse. Any sexual act that happens without consent is a form of sexual abuse. Nursing home patients' dependence on their caregivers makes them easy targets for this misconduct. Both federal and state laws protect against sexual abuse in nursing homes. One such law is the Illinois Nursing Home Act. It was adopted due to concern over the degrading and improper treatment of nursing home patients. One central aspect of the law is its bill of rights, under which patients are guaranteed certain enumerated rights, including a right to be free from sexual abuse by nursing home personnel. The law also establishes statutory responsibilities for owners and facilities, such as an obligation to establish clear and unambiguous written policies and procedures to protect the patients' rights. The Department of Public Health has the authority to enforce this law and promulgate administrative regulations, and there are both civil and criminal penalties for violations of the law. This law applies to Illinois long-term care facilities and provides grounds for a right to bring a private lawsuit with the assistance of a nursing home sexual abuse lawyer in Chicago. Either the resident or an authorized family member may sue the owner or licensee of a nursing home facility for compensation, injunctive relief, attorneys' fees, and costs when there has been any intentional or negligent conduct of agents or employees that harms the resident. Additionally, if a living resident has died, an executor of his or her estate can sue the nursing home for statutory violations under the Survival Act. Under the Nursing Home Act, punitive damages may be available if there is proof of willful or wanton misconduct. Compensation under this law could include medical care, mental anguish, pain and suffering, and loss of enjoyment. Additionally, since you sign a contract when you put your family member into a nursing home, you may have common law causes of action, including breach of contract or negligence, in addition to statutory grounds to bring suit. If you or a family member suffered sexual abuse while under the care of nursing home staff and personnel, the Chicago nursing home sexual abuse lawyers at Moll Law Group are available to help you pursue compensation for your injuries and other relief. Our firm represents injured individuals in Naperville, Wheaton, Schaumburg, and communities throughout Cook County. Call us at 312-462-1700 or complete our online form to schedule a free consultation with an injury attorney.